John Hall co-wrote two of the most widely played songs on Top 40 radio during the 1970's that are still in constant rotation today. The hits "Still The One" and "Dance With Me." You may or may not connect the dots between the man, and the group he co-founded Orleans, but he is much more than this success story which alone would be a dream come true like winning the lottery for most musicians. Mr. Hall is by definition a modern day renaissance man. 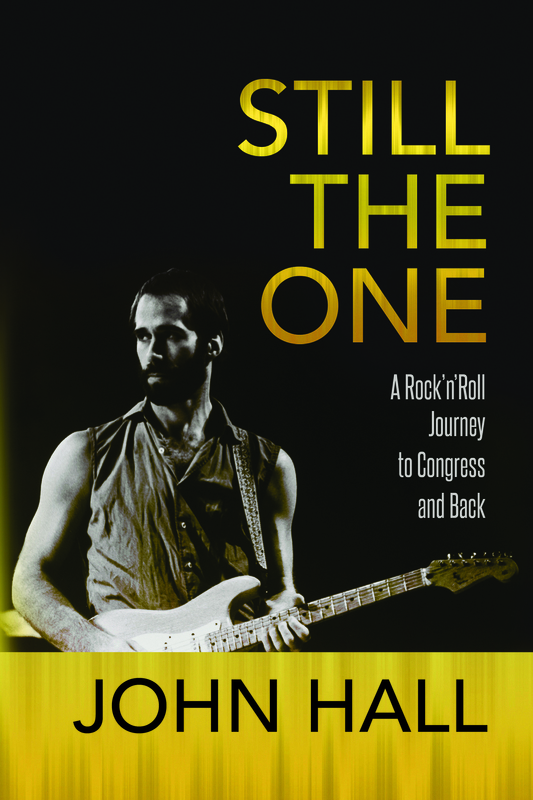 In addition to rockstar he is a social activist, former two time US Congressman, father, grandfather, and now author with the release of his self penned memoir "Still The One." I met John whilst living in Woodstock in the mid 1980's. Along with Malley Heinlein, Pete O'Brien and other local musicians we formed the house band at "The Joyous Lake," the main music club at the time. The band Stormy Monday named after the iconic blues hit by T-Bone Walker played mostly soul, Motown, and blues covers. Local musicians would jump up to jam or sing, and often a more nationally known musician like Rick Danko of The Band, John Sebastian of The Lovin' Spoonful, or Tony Levin of King Crimson/Pink Floyd would sit in as well. Each player being equal under the colored gels illuminating the small stage. The tone was set by John being a humble giant I believe, both in terms of his over six foot physical frame and by his willingness to make things better for his family, neighbors, community, and the world. He is a founding member of MUSE, Musicians United for Safe Energy, and helped organize and perform at the No Nukes benefit concerts at Madison Square Garden which raised awareness about the dangers of the expanding nuclear energy industry back in the day. This coming together of the brightest music stars of the day set the tone for "We Are The World" and many other benefit projects later on. In his memoir Hall speaks of being at the nexus of the rock and roll era in New York during the 1960's and 70's. The time that Jimi Hendrix came to a local club and sat in the first row to see his band. The time he and his songwriting partner Johanna who later became his first wife befriended Janis Joplin, and would spend numerous nights hanging out together. Eventually they wound up co-writing the song "Half Moon" from her posthumous album Pearl. "Half Moon" became the b-side to the standard "Me and Bobby McGee" and both the album and single went number one. John played guitar as a session musician and touring sideman for a who's who in the annals of music. Years later these friendships and respect from his music peers led to his organizing "No Nukes." The concerts made history, the cover of Rollingstone, and spread to include multiple nights with Bruce Springsteen, CSN, James Taylor, Bonnie Raitt, Paul Simon, Steven Tyler, Carly Simon and many others. After my phone interview with John earlier this month to prepare for this article, one of the things which struck me most was how unhurried he was. In the midst of a book promotion tour, readings and signings, interviews, and Orleans shows he spent an hour just catching up with me. He was genuinely interested in how I was getting on these days. Some people are natural born connectors, John being one for me personally. Inviting me to play keyboards in Stormy Monday renewed my joy of playing music just for music's sake. I had just returned from living in London and touring with a rock group Zeno who released one album for EMI Records, toured opening for Queen, Black Sabbath and others but which failed to sell records and was dropped by the label. It was a green time of healing for me in Woodstock and playing music with John and others. Along with Stormy Monday John recommended me to become music director for HAIR, the Broadway musical that was being staged at Woodstock's Birdcliffe Theatre that summer. A cascade of events followed HAIR. Through a songwriter I wrote with during my Zeno days in London Phil Johnstone, I was invited to work on a Robert Plant song that Phil as Robert's producer and co-writer at the time was developing. Robert being the gold standard for rock and roll musicians led to my representation with a major manager, and my first ever music publishing deal with Famous Music, the music division of Paramount Pictures. A whole cascade of events re-launched my career, started by uber connector- John Hall. It's amazing to me the power of intention. Someone like John with the intention to do good can sow it like the wake of a ship in the water. I have tried to follow his example and recently participated in a campaign by the UN called "Every Voice Counts," to benefit Unicef. People from 140 countries took part in singing the iconic Peace anthem IMAGINE by John and Yoko. It wasn't just a celebrity line up, but anyone could join in by recording a video of themselves and sending it in. I brought Al Jardine, a co-founding member of The Beach Boys to Central Park on what would have been John Lennon's 75th birthday last year to lead a gathering of hundreds of people singing Imagine. The film is included in the latest release of Unicef- Imagine. So from the example Mr. Hall set, I found myself helping children in need by bringing a Beach Boy to pay tribute to a Beatle. It gets different but not much better than this. Perhaps someday Mr. Hall and I will team up together on something, in addition to playing music again, which benefits and protects those in need? John didn't rest with stardom, wealth, acclaim or local activism. He stepped it up to the national stage when in 2006 he became Congressman John Hall representing several counties north of New York City. He went on to serve two terms and was given the chair of the Subcommittee on Disability and Memorial Affairs, for military veterans. A seeming contradiction for a rock and roll guitarist and freewheeling 1960's and 70's activist, to suddenly be the champion for soldiers rights, but as they say opposites attract. 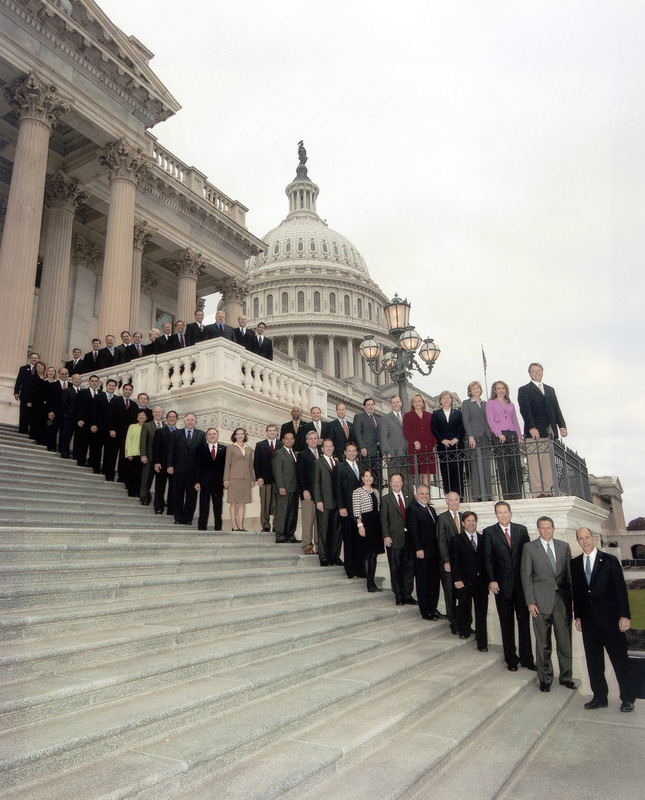 Getting anything passed through Congress is a nearly impossible feat these days, but Mr. Hall in his persuasive way was able to draft, introduce and ultimately pass one of the very few bi-partisan bills under President George W Bush called "The Veterans Disability Benefits Claim Modernization Act." A lengthy name for what basically means it assists veterans cutting through red tape, outdated systems, and waiting lists to get the help they need once they return home from serving their country. Both Democrats and Republicans voted yea, and President Bush signed it into law in 2008. The lone chapter of the bill that was dropped as a matter of compromise to get the votes needed in order for the bill to pass, was later introduced as a stand alone bill and unanimously passed by both parties of Congress. It said any vet with a condition such as PTSD could get instant help without the red tape and having to wait.